Jazz news: M.O.D. Technologies To Release Hu Vibrational's The Epic Botanical Beat Suite - With Special Guests Eivind Aarset, Bill Laswell And More! M.O.D. 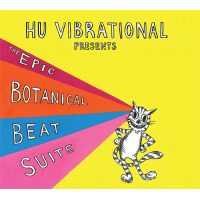 Technologies To Release Hu Vibrational's The Epic Botanical Beat Suite - With Special Guests Eivind Aarset, Bill Laswell And More! Hu Vibrational's new album mixes deep percussive African rhythms and Afro-jazz with elements of hip-hop and electronica. Recorded and mixed at Bill Laswell’s state of the art studio, this is the fourth album by Hu Vibrational and for those who bought the previous 3 releases this will not disappoint! Produced and mixed by Adam Rudolph together with longtime Laswell engineer James Dellatacoma, the album features 7 world music percussionists along several special guests including Bill Laswell hitting the deep pockets on bass plus Norwegian guitar whiz Eivind Aarset creating ethereal electronic palettes. 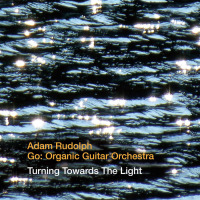 Joining Rudolph in the groove department are the percussionists from his Go: Organic Orchestra project, Brahim Fribgane, James Hurt, Matt Kilmer, Tim Kieper, Keita Ogawa and Tripp Dudley. Each of these great drummers has performed extensively worldwide; here they perform Rudolph’s rhythm compositions on a wide variety of world percussion. The tracks were electronically processed and transformed in the mixes into a true ancient to future expression; a dance music style Hu calls “Boonghee Music.” With 2 acclaimed releases on Soul Jazz Records (Beautiful and Universal Mother) and Scott Heren’s (Prefuse 73), Eastern developments label, Hu Vibrational’s deep spiritual music draws on the links between Africa, jazz music and avant-garde hip-hop. AVAILABLE IN STORES AND ONLINE MAY 19, 2015. This story appears courtesy of hubtone PR. For interview requests or more information contact hubtone PR.